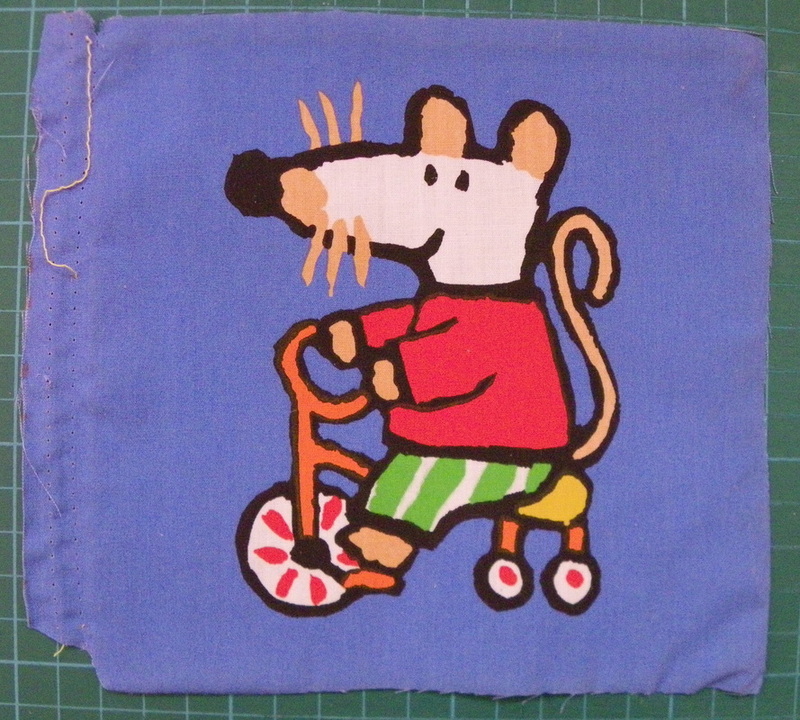 How to make cards using Recycled Cloth Books. 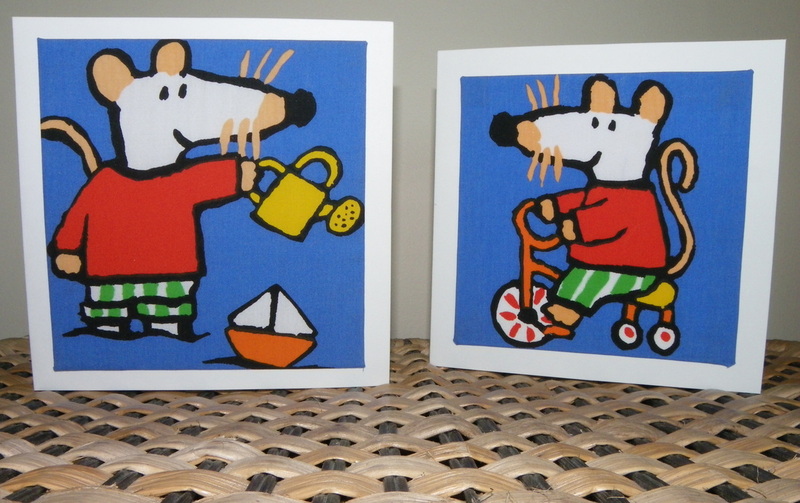 A great way to reuse and recycle - turn unwanted cloth kids books into bright birthday cards. 1. Piece of white card measuring 29cm x 14.5 cm. Scored and folded in half to make a square base card. 1. 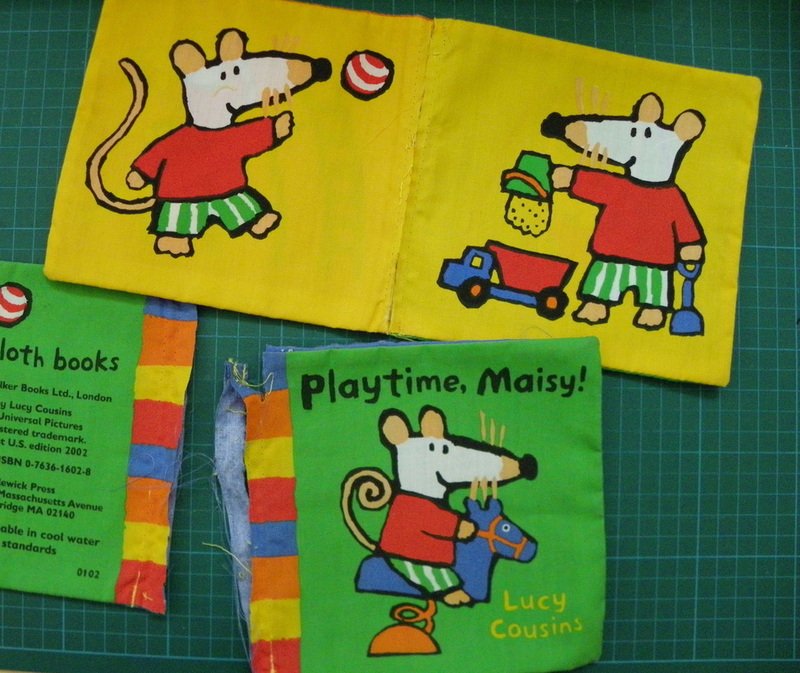 Cut out the pages of the cloth book that you would like to use, right along the seams and folds. The cut out page must be at least 16cm x 16cm. 2. 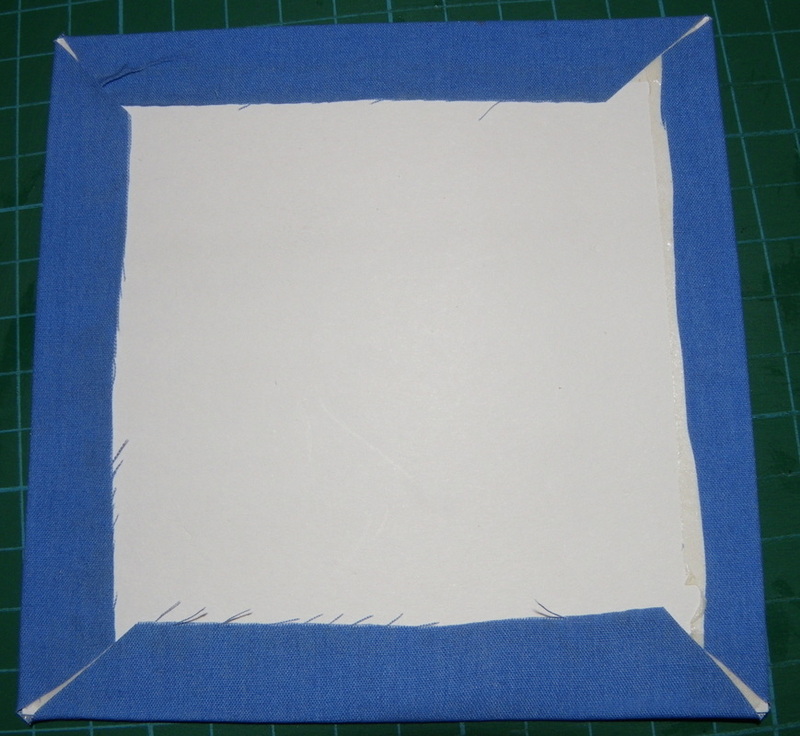 Lay the cut out picture face down on the table and place the 14cm x 14cm piece of white card on it, centrally. Place DSST around all the edges of the white card, make sure it is close to the edge. 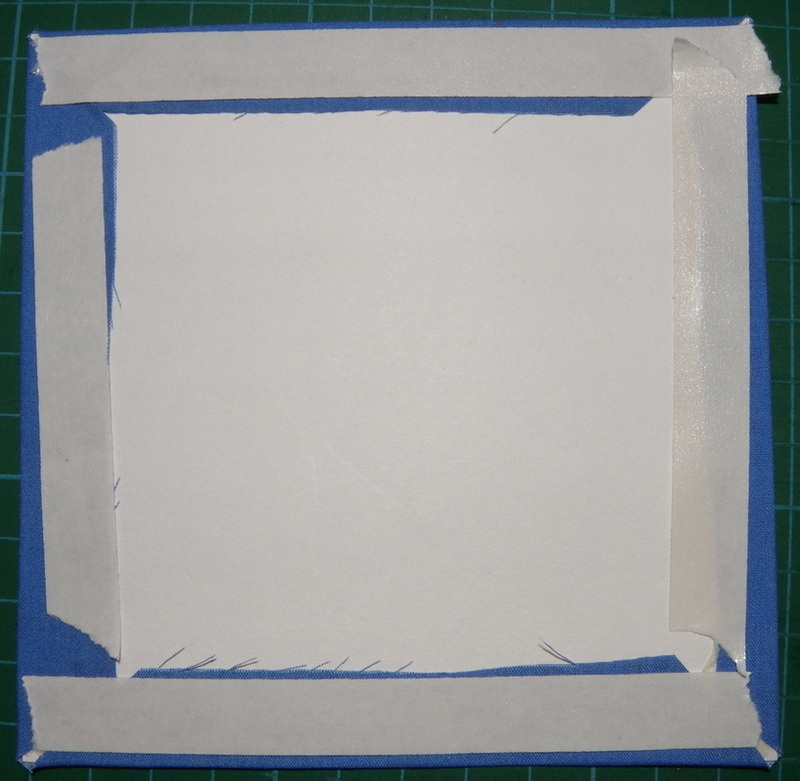 Cut the corners of the material off diagonally (see picture below). 3. 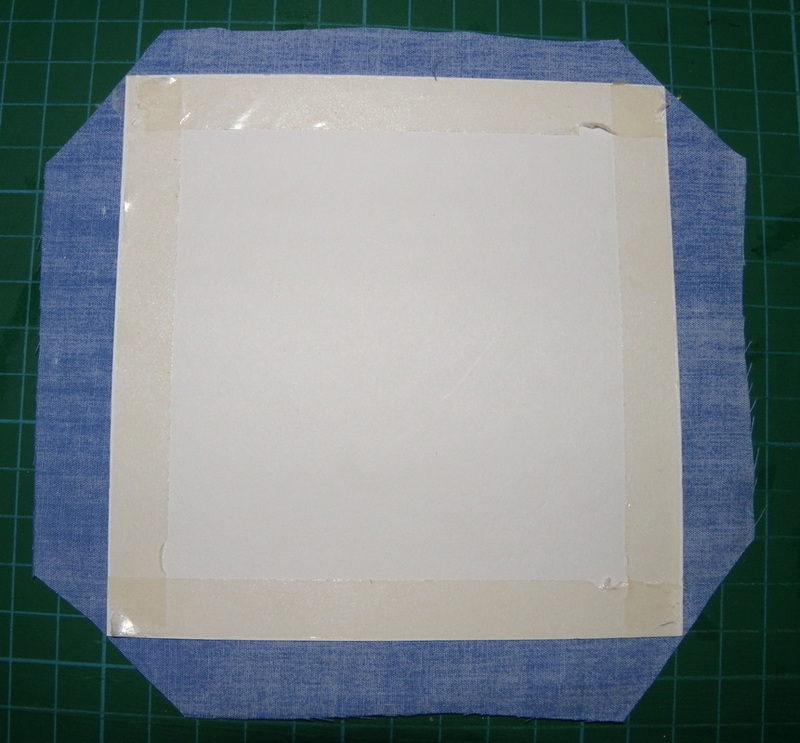 Fold the edges on the cloth up around the white card and adhere them to the DSST.